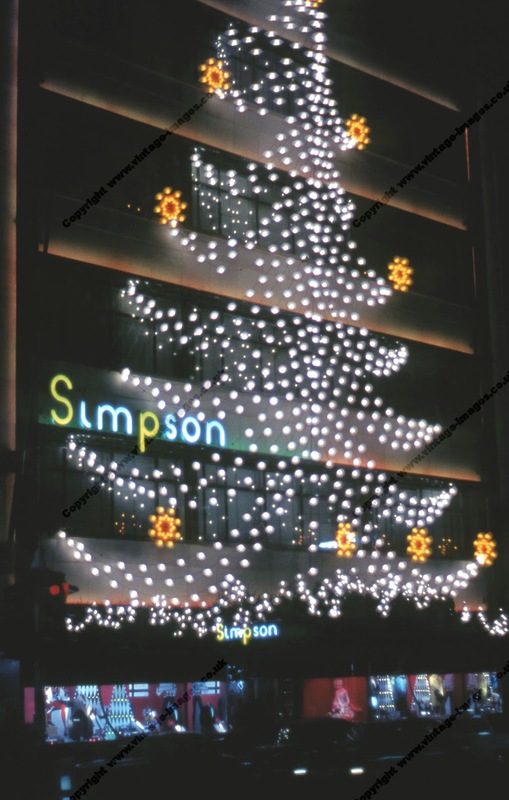 Simpsons department store in Piccadily is decorated for Christmas 1965. Simpsons may not be a familiar name to many now - it closed in 1999 and the art deco building is now the flagship store of the Waterstones chain of bookshops. However it was the inspiration for a series on British Television that IS familiar to far more people than Simpsons ever was. In the early 1950s, scriptwriter Jeremy Lloyd was employed as an assistant at Simpsons. Twenty or so years later he used his experiences to co-write Are You Being Served? 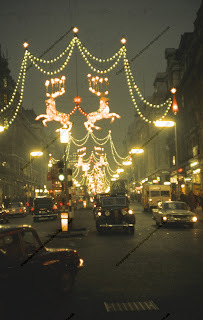 London at Christmas half a century ago. This is Oxford Street in 1962. Not all night shots on slow film are successful but this one works. You can almost feel the chill in the air as the shops count down the days and their money into the tills. Some of the department stores that fulfilled Christmas wishes for thousands of small and not so small children are still with us but others have gone.